Though this may surprise you, how you read this text – be it on a laptop, a desktop or a mobile device – will influence how you receive it. For example different fonts can influence how the writing is perceived, with times new roman being seen as both angrier and funnier than Ariel. Similarly, if a font is more readable people are more likely to interpret the instructions as easy to carry out – for example, if furniture assembly instructions are given in Ariel they are seen as easier to do than if they’re presented in a san serif font (Just to clarify, ‘Serif’ means that the words have tails above and below the text, ‘sans serif’ means they don’t). And it isn’t just the font that matters. For example research has demonstrated that when people read text in a book, they absorb more than if they read the same text on an e-reader. What that means is that you can’t just take text written for laptop reading and assume it will be just as accessible from a mobile device. You’ve got to change things just to keep the readability the same. Mobile devices are smaller than laptops and desktops. For this reason it is far more important that on mobile devices the font you use is accessible to your reader. Pick a Serif font, as this will increase readability and user-fluency, which in turn will make for a more pleasant experience as well as making your argument more convincing. We can only take in so much information at the same time. Shoot more information our way and you’ll overload the senses. There is no better way to get your users to switch off. For many this will mean they will simply shut your page. For the rest, they’ll enter the site more skeptical of your claims. That is not the attitude you want your readers to have. So make certain that your screen is open, uncluttered and easy to navigate. Also, don’t have things that blink, or auto-playing video files and audio. Even popups like newsletters should be avoided. The last ones might have been affective a few months ago, but by now audiences are getting royally annoyed. Writers are good with language. That’s why they’re writers. This means they can hold long sentences in their mind longer and understand nested thoughts (such as this thought, which is nested in this sentence above) better. What is more, as they’re writing the text they know what they’re trying to say. And so it is easy for them to get the entirety of a long sentence. This isn’t true for all users. Add to that that long sentences sometimes can require scrolling and you can see the dangers of them. So don’t use them. 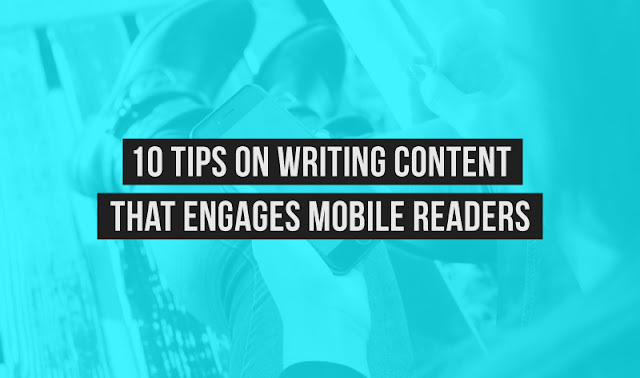 In fact, make sure to follow all these tips about how to write better content. People use their mobile devices on breaks or in noisy situations where they’re easily distracted. So, just like with newspapers put the more important information first and the nuance later. This way, even if they only stick around for the first few paragraphs they’ll have gotten the gist of what you’re saying and be more likely to return for more later. Take the time to edit down your text and get rid of words you don’t need. This one sentence, for example, perfectly got my point across. Again, with the screen size being what it is, you don’t want to overload your audience. For that reason, use short paragraphs! Two-sentence paragraphs are fine. Even an occasional orphan sentence, left out on its own where it can have a bigger impact, is acceptable. Though don’t overdo these. I follow the rule of having at least two normal paragraphs between such one-sentence lines to avoid giving the feeling that my thoughts are too scattered (as well as to avoid tiring out reader’s scrolling finger). They’re like little images inside your text! And as we’re incredibly visual creatures, this obviously helps. If you can use them correctly, you can significantly improve readability and information retention. So unless you’re writing a contract that you don’t actually want your audience to read or understand be sure to use them to emphasize your point! I use the basic rule that if my headline runs across more than one line, it’s too long. You’ve got to cut it down. Can’t cut it down because you need to put all that information in there? Divide your text into two chunks and give each its own headline! This will greatly aid readability and will probably end up making your argument more cohesive besides. A lot of people still believe that if you use big words people will think you’re smarter. Quite the opposite is true. So don’t do it! Use accessible language that the majority can understand. And if you do include a more complicated, less well known word, have the courtesy to define it! In that way readers can extrapolate, or figure out, the meaning without needing a dictionary. This is possible the most important point of them all. People grab for their phones to get away from the work, because they have a few minutes to spare, or because they’re waiting for the bus. They’ve often got a dozen other thoughts lined up for them to deal with. They’re just taking a moment away from all of that with what you’ve written. You’ve got to play for that. People aren’t reading your site because they want to be frustrated, confused or irritated. They’re reading it because they want to be entertained, informed and distracted. That doesn’t mean you can’t deal with important or complicated points, but it does mean you’ve got to present them in an easily understood and accessible format. In other words, don’t dumb it down. Instead, open it up. 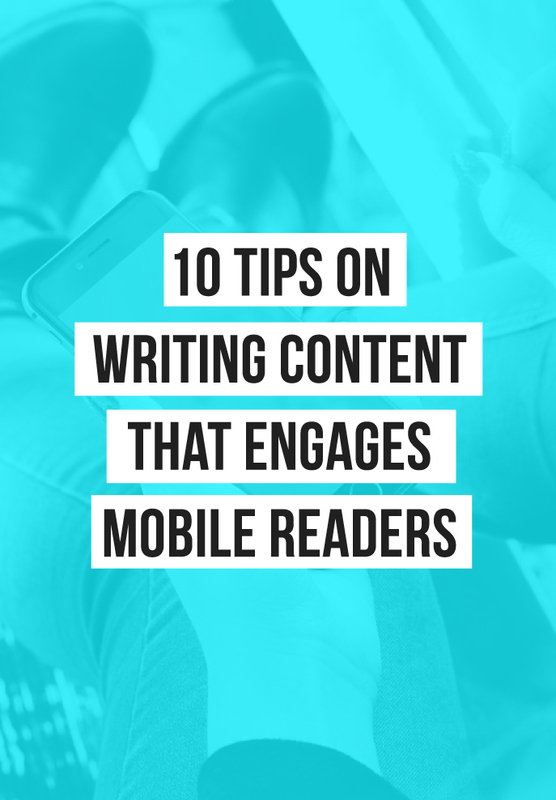 If you can do that you’ll find your mobile readers engaged and excited to return to your site.